Campanella McDonald LLP is a full-service, professional accounting firm focusing on small business owners, independent professionals, and real-estate investors. The firm’s partners provide clients with assurance, taxation, advisory, SR&ED, business valuations, wealth advisory, US tax and estate planning services. Fabio has been providing a blend of investment, tax and financial advice since 2002. A founder of both Campanella McDonald LLP and Praetorian Wealth Advisory (an investment consultancy in Toronto) Fabio believes the best financial strategies are those that take a holistic approach; combining a balance of traditional financial management with tax-planning, estate planning and risk management. An alumnus of Price Waterhouse Coopers LLP, Grant Thornton LLP, and BMO Nesbitt Burns, Fabio has held senior positions in taxation, wealth management, and consulting. 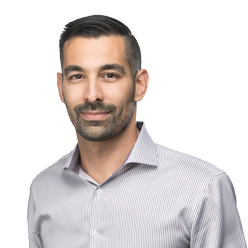 Fabio has contributed expert insights to the Financial Post, the Globe and Mail, the Toronto Star and numerous other local publications across Canada. In addition to his CPA and CA designations Fabio is a tax specialist having completed CPA Canada’s 3-year, In-depth tax course and has qualified as a Certified Financial Planner (CFP), a Chartered Investment Manager (CIM), a licensed investment advisor, and has completed the LLQP life insurance license certification in Ontario. John Paul is a founding partner and began his career in 2003. He has extensive experience serving clients that are both privately owned and publicly listed on Canadian stock exchanges. His clients have included businesses with operations in a variety of industries such as manufacturing and distribution, professional services, and real-estate development. He has significant experience conducting audits, reviews, and compilations of financial statements for small to mid-sized clients. He has a comprehensive knowledge of the accounting, tax, and financial needs of small business owners. Prior to forming Campanella McDonald LLP John Paul worked with two independent Chartered Accounting Practices in Toronto providing assurance services to both public and private clients. 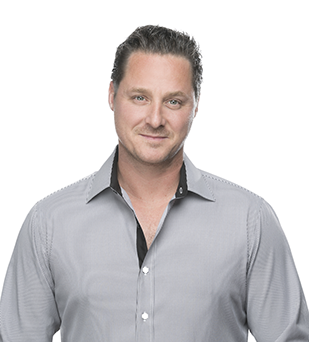 John Paul has a Bachelor of Commerce from Ryerson University and a Chartered Accountant (CA/CPA) designation in addition to being a licensed realtor.